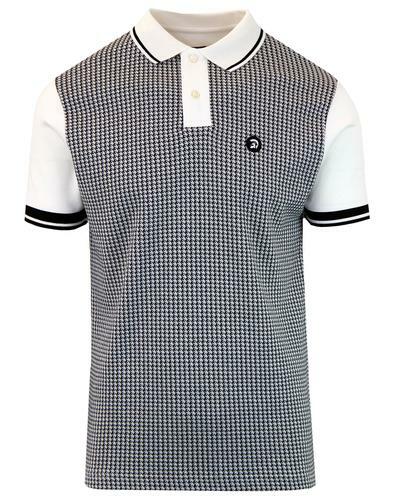 Trojan Records Mod Ska Melange Houndstooth Polo. Knitted jersey construction to front carries a fab intricate houndstooth design while tipping to ribbed collar and cuffs adds a Sixties mod vibe. The polo has a classic two button placket and vibrant orange back neck tape detail matching the iconic Trojan Records logo to chest. A brilliant Mod and Ska influenced polo, celebrating the Iconic label that is responsible for creating some of the best Ska and soul tunes in Britain. 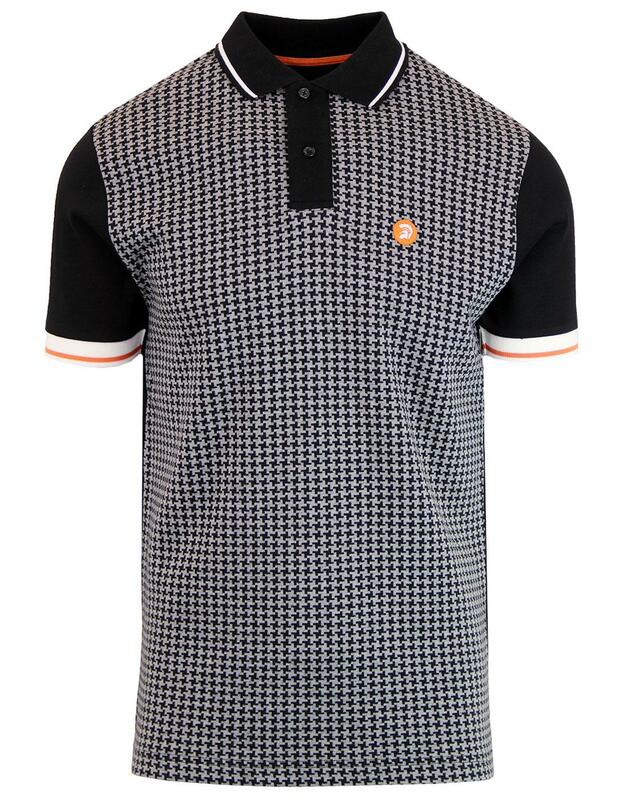 - Trojan Records Mod Ska Melange Houndstooth Polo. 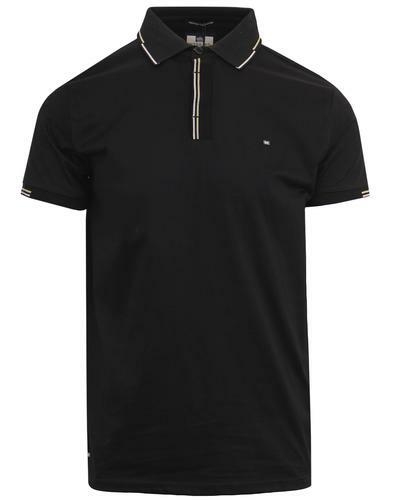 - Polo collar with classic two button placket. - Contrast stripe trim to collar and cuffs. - Iconic embroidered Trojan Records. - Vibrant orange back neck tape detail.